Guest post by Brigette Shevy This thick, creamy, refreshing shake is the perfect recipe for the long, hot summer afternoons. 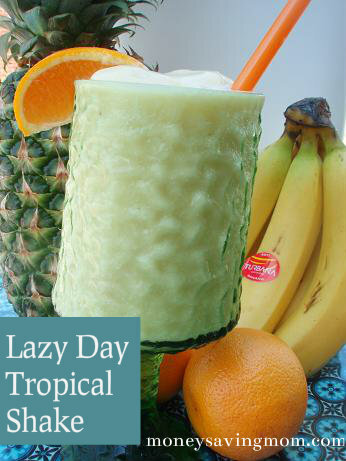 It’s a healthy version of “Pina-Colada meets Orange Julius,” combining some of my all-time favorite flavors. 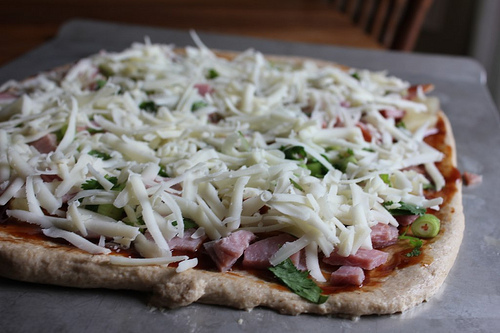 I whipped up some Hawaiian Pizza on Sunday, inspired by this recipe. It was a fantastic success — at least according to my family!